Ama Tutu Muna, former Minister of Arts and Culture, has sued her brothers including Akere, to get an equal share of their late father's property. 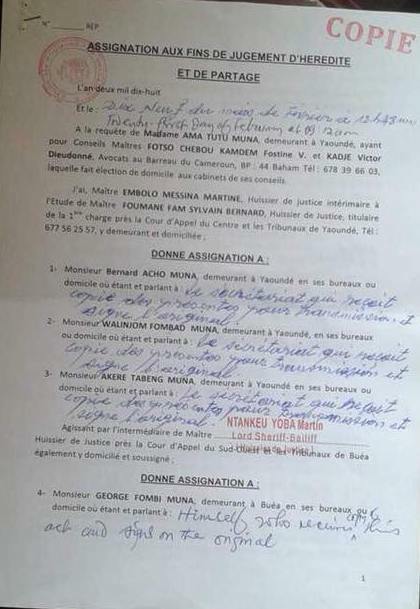 The children of Solomon Tandeng Muna do not seem to agree on how the inheritance of the former president of the National Assembly of Cameroon is managed. On February 19, Ama Tutu Muna, the youngest of the Muna family, sued her brothers to claim a fair share of the property left by their father. 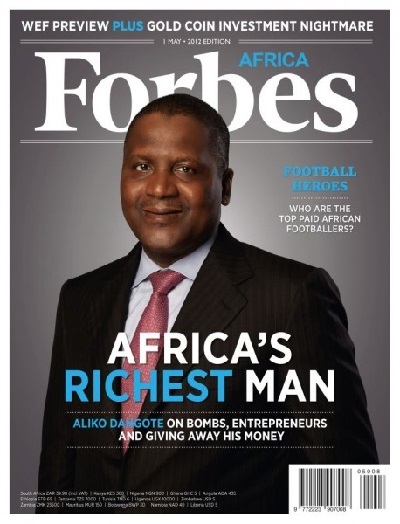 Three prominent Nigerians have featured in Forbes' Africa's richest man, Dangote retain the throne for the 7th year in a row. The number of billionaires from the shores of Africa has risen to 23 in January 2018, and atop that list sits industrialist Aliko Dangote. Ex-Manchester City and Arsenal midfielder, Samir Nasri has been banned from football for six months because of a drip treatment he took at a Los Angeles clinic in 2016, his lawyer said. According to BBC Sport, the 30-year-old Nasri took the treatment while on holiday, but it contravened World Anti-Doping Agency (Wada) rules leading to a Spanish Anti-Doping investigation. It appears France international, Paul Pogba is presently unhappy under the leadership of Portuguese tactician, Mourinho and is prepared to use the exit door. Manchester United midfielder, Paul Pogba is ready to leave Manchester United if Jose Mourinho remains manager. The romance between the founder of Omega Ministries - Apostle Johnson Suleman and his wife has continued to wax strong despite the scathing allegations of infidelity which have trailed the cleric. Elder Imodu Sule (pictured far below in black), the biological father of Apostle Johnson Suleman yesterday joined Apostle Suleman and his children to celebrate his daughter-in-law, Dr. Lizzy Johnson Suleman who marked her birthday with a party. Dr Lizzy was pictured kneeling down for Apostle Suleman at the event. Here are the latest Scholarships and opportunities around the world. Kindly click on any of them below to apply. Nollywood bad boy, Jim Iyke has opened up on his relationship with Nigerian actress, Rita Dominic and the fact that they haven't spoken directly for two years now. Nollywood bad boy actor, Jim Iyke and screen goddess, Rita Dominic have over the years been linked together on several occasions and the reason is not farfetched as the duo often played roles of lovers in movies back in the early 2000s. However, Jim Iyke has opened up on his relationship with Rita in an interview with Broadway TV. When asked why he didn’t get married to the actress, he said: “Rita and I met when I was just beginning to embrace fame, and the comforts that came with it. Pot-bellied comic actor and film producer, Mr Ibu who hails from the South-eastern part of Nigeria has boasted about his prowess in the 'other room'. Nollywood comic actor, John Okafor popularly known as Mr. Ibu is bragging about his s*x game in his latest interview. The actor in a chat with Inside Nollywood said he is actually sweet in bed and can satisfy any woman. Here below are the latest Scholarships and opportunities around the world. If you are interested click on any of them below to apply. Hon Osih Joshua, 1st Vice National President of the SDF has flushed out Hon. Fobi Simon Nchinda to represent his party in the upcoming Presidential elections. Hon. Osih got 1021 votes as against 134 for Hon. Fobi, representing 88.39% against 11.61% for Nchinda. Osih takes over from SDF national chairman No John Fru Ndi as next candidate. Worthy to note that Hon. Mbah Ndam who was one of the contenders decided to step down leaving Hon. Osih and Hon. Fobi to contest in the primaries. Osihgot the crushing victory early this morning February 24, 2018 in Bamenda. The Central Committee of the CPDM has flushed out former Prime Minister's candidature for the March 25, 2018 Senatorial elections. Senator Achidi Achu was dropped from the list of contenders though he submitted a list and was also heading one of the CPDM lists from the North West Region. According to a source linked to the central committee of the CPDM, the heavyweights who were also dropped included JB Ndeh, Senator Awanga Zacharia, Senator Walang Akwo David and Ngafeeson Emmanuel. The greatest losers will however be Achidi Achu, Walang David and Awanga Zacharie (former senators who will not go back to the senate except maybe through appointment. The question as to whether who will be appointed from the North West Region has been rife. The political elite who attempted to contest but their aspirations were short-lived are all positioning for appointments. What is however clear is that some of them will be shocked at who will be appointed. The two candidates who one of them will enyer into late Senator Jikong Stephen Yeriwa as the next senator for Donga Mantung Division will come from Nwa sub Division. This is so because the two political parties in the senatorial bid have all chosen candidates from Nwa sub Division. Madame Chebonkeng Martina according to what we gathered has been endorsed by the CPDM Central Committee and her name forwarded to ELECAM. On the other hand, another classified source say Chief Kembongi of Nfe has also been invested by the SDF Investiture Committee as senatorial candidate for Donga Mantung Division. Sources say the central committee of the CPDM has dropped heavy weights like Rt. Hon. Achidi Achu, Awanga Zacharia etc. Regina Mundi, according to what we gathered is heading the CPDM list for the North West Region. Feb. 20 (UPI) -- North Korea has ended its ninth Winter Olympics appearance without a medal. Short track speed skater Jong Kwang-bom crashed out of heats in the men's 500 meters on Tuesday as the final athlete among 22 from the North to compete during the Pyeongchang Winter Games. Feb. 21 (UPI) -- Director Ryan Coogler thanked fans on Twitter for coming out to the movie theater and making his latest film, the Marvel epic Black Panther, a box office success. Feb. 21 (UPI) -- Rev. Billy Graham, a well-known evangelist for decades and often referred to as "America's pastor," died Wednesday morning at the age of 99. Born in 1918 and raised on a dairy farm in North Carolina, Graham said that as a boy he preferred baseball to religion and even "detested going to church." When he turned 15, he became inspired by traveling evangelist Mordecai Fowler Ham and committed then to live his life serving Jesus Christ. Graham was ordained in Florida in 1943 and later received a solid foundation in the Scriptures at Florida Bible Institute, now named Trinity College of Florida. That same year, 25-year-old Graham graduated from Wheaton College in Illinois, where he met his wife, Ruth McCue Bell. New details have emerged to show that the rave-making Black Panther movie was inspired by a real all-woman army in Africa. Black Panther has been dubbed the superhero blockbuster of the year - and it's got fans talking about what could have inspired the captivating script. 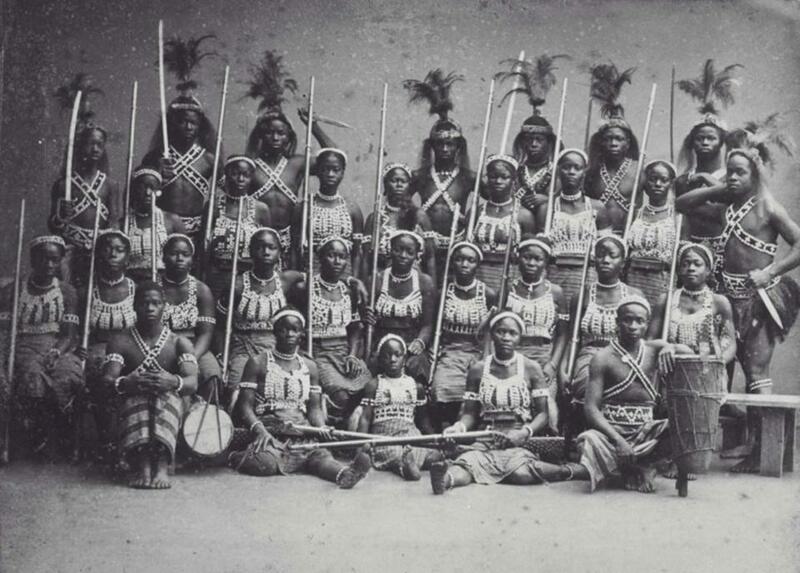 Many are convinced the film's Dora Milaje warriors are based on a real life all-woman army in Africa, known as the Ahosi of Dahomey, or the "Dahomey Amazons." Bishop David Oyedepo is one of the most beloved clerics in Nigeria and was ranked Nigeria’s richest pastor, according to the recent 2018 Forbes list. But, there is still so much that people do not know about him. 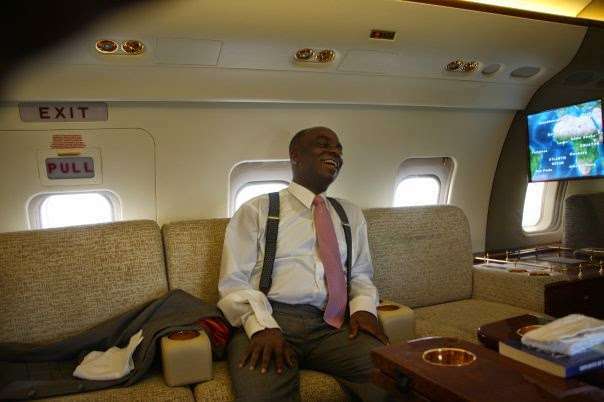 Here are 10 things you need to know about Bishop Oyedepo. The beloved Man of God was born on September 27, 1954, to a Muslim healer father while his mother reportedly went to Cherubim and Seraphim. His parents were named Ibrahim and Dorcas. Isaac Drogba has followed in his legendary father's footsteps by agreeing a deal to sign for Ligue 1 outfit Guingamp, 16 years after the french club signed Didier Drogba. 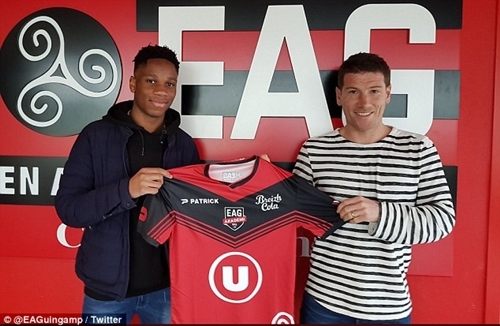 Isaac Drogba, the 17-year-old son of legendary footballer, Didier Drogba, has followed in his famous father's footsteps by agreeing a deal to sign for Ligue 1 outfit Guingamp. According to Dailymail Sports, the teen star who has also spent time in the Chelsea academy, was unveiled by the French club on Monday, 16 years after the club signed his father in an £80,000 deal from Le Mans. Young comedienne, Emmanuella who hit Nigerians with the 'this is not my real face' joke that got her famous overnight, is set to star in a Hollywood movie. Seven-year old Nigerian child comedienne, Emanuella Samuel, who is the winner of 2016’s Best New Comedienne and Princess of Comedy at the Afro-Australia Music and Movie Awards, is set to feature in a Disney Hollywood film. Little Emmanuella is grateful for the opportunity Sharing the new with her fans, Emmanuella also expressed joy for the huge opportunity to show her uniqueness to the word. Things seem to be going remarkable great for Nigerian child comedienne, Emmanuella, as she has indicated her intent to feature in a Hollywood production. 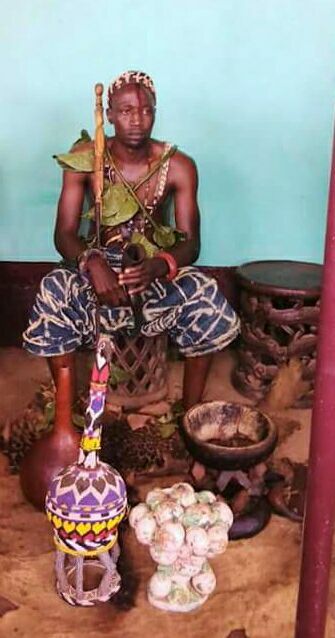 The Ngarum people of Ndu sub Division in Donga Mantung Division have a new fon. As it is customary in the (Wi)Mbum HRH Fon Nganji IV was enthroned after the entire (Wi)Mbum people on February 16, joined the people of Ngarum in proclaiming the disappearance (bfu bfu) of HRH Fon Nganji III. There as euphoria at the Ngarum palace court yard as thousands gathered to celebrate the life of the departed hero, HRH Fon Nganji III and to welcome the newly enthroned fon. For three weeks, the entire village will be transformed into a cultural fiesta, masquerades display, singing and dancing will take central stage. 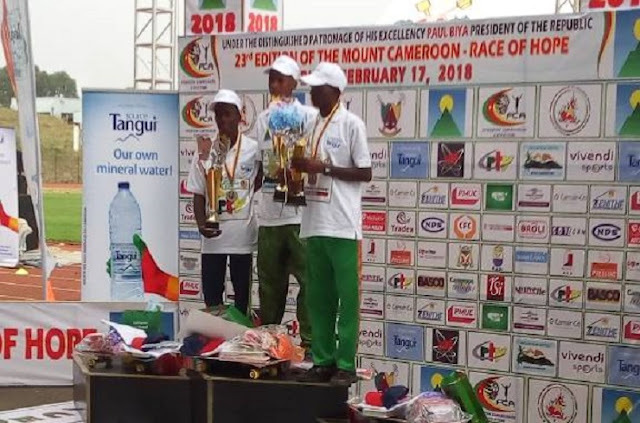 The winner big time winners of the 23rd edition of the Mt, Cameroon Race are Godlove Gabsibuin and Tata Carine, all from the North West Region. Of the over 500 athletes that took part in Saturday's race of February 17, 2018 Godlove Gabsibuin won in the men category while Tata Carine won in the female category. Who Succeeds Fru Ndi's as SDF Presidential Candidate? Next weekend, the Social Democratic Front (leading opposition political party in Cameron) will hold its national convention in Bamenda to elect a new Presidential candidate. The primaries would be decisive; given that it would be the first time since the creation of that party that SDF Chieftain, Ni John Fru Ndi will twirl over the position of Presidential aspirant to another person. Three contenders have declared their ambitions to succeed Ni John Fru Ndi. There are Hon. Osih Joshua, Hon. Joseph Mbah Ndam and Hon. Fobi Simon Nchinda. They are all members of parliament. Public opinion holds that this exercise is a crucial and important one not only for the SDF, but also for the ongoing democratic process in the county. However some political pundits think that Osih Joshua is a sure bet because he has the support of the youths while others say Fobi Simon may emerge victorious given that he nursed the ambitions long ago. So, this is the opportunity for him to excel. Another school of thought holds that though Joseph Mbah seems an outsider in the race, he is the most astute politician and has a lot of experience. Therefore he could spring surprises. Speculations as to who is Ni John fru Ndi’s own candidate abound high. This is so because some observers think if Ni John Fru Ndi declares for a candidate, he may influence the delegates. Notwithstanding, next weekend SDF militants will be looking to this elections for a better future. Cameroonians will be watching. One thing is clear that Cameroonians are tired of having the same candidates for several years. The Charity Commission United Kingdom which regulates charity organisations in the country, has declared Pastor Chris Oyakhilome's church insolvent. 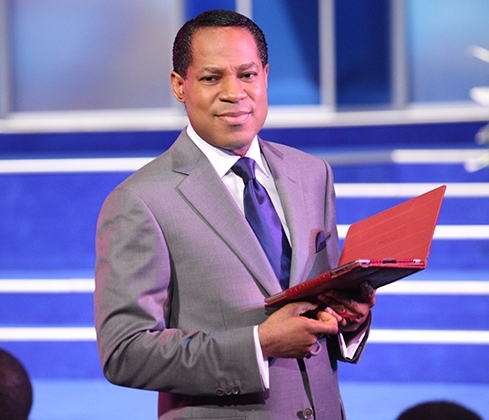 The United Kingdom branch of Christ Embassy, owned by popular Nigerian televangelist, Chris Oyakhilome, is broke and has been declared insolvent by the Charity Commission, the agency that regulates charity organisations in the country. “In practice there are two separate tests for insolvency and failure of either might be an indication of insolvency: The charity cannot pay its debts as they fall due for payment; The value of its liabilities exceeds its assets. 28 contenders are said to have finalized their documents and submitted to the Regional Coordination of the CPDM in the North West Region. The 28 aspiring CPDM contenders according to what we gathered have formed four lists. Sources say the Rt. Hon. Simon Achidi Achu(himself senator) is heading a list of mostly former senators. On the other hand Regina Mundi (member of the CPDM political bureau is also head of another list while JB Ndeh (General Manager of MIDENO) is also leading the third list. In this mad rush, the youths have not been left out. Acting as leaders of today and not tomorrow, Dr. Ndonwie Peter is also finalizing a list of young men and woman who have vowed to flush out the old guards from the senate. The list by the CPDM youths according to a hint is being encouraged by Dr. Nick Ngwanyam and others. It should be recalled that in 2013 senatorial, the Central Committee of the CPDM selected former Prime Minister Simon Achidi Achu to be the list leader for CPDM candidates of the North West Region. The Central Committee it is worth mentioning selected late Jikong from Nwa (Donga Mantung), Wallang Akwo David from Wum (Menchum), Wanlo John from Bum (Boyo), Awanga Zacharia from Oshie-Ngie (Momo), Eno Emma Lafon from Kumbo (Bui) and Dingha Ignatius from Balikumbat (Ngoketunjia). What happened in 2013 was that the Central Committee just to removed Fon Chafah’s name from the list he compiled to replace with Simon Achidi Achu while Dingha Ignatius who was in JB Ndeh’s list was brought in to replace Dr. Doh Anderson. The maneuvers sparked a lot of controversy among North West CPDM politicians. 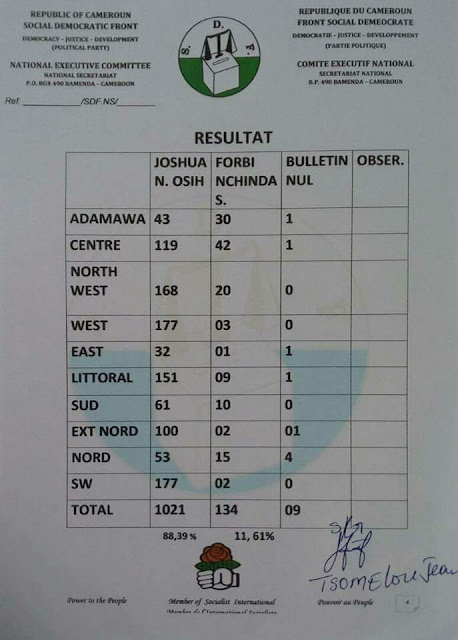 With "Old Fox" (Achidi Achu) Pa politics na njangi heading the list, the CPDM finally crushed the SDF to win all the seven seats in the region.